Another successful recipe swap week! Brianna from Oishii submitted a recipe for baked kale chips that I was assigned. I was thrilled because I’ve been meaning to try it, and actually was in Whole Foods a few weeks ago looking to buy kale, but they were out. I know, the picture doesn’t look like much of anything. 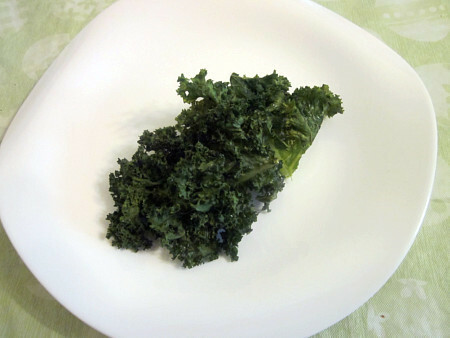 It actually just looks like a raw piece of kale. The ends didn’t brown much, like Brianna said they might, but it still crisped up nicely and had a good texture. This is a delicious and healthy item that can easily help curb a crunchy or salty craving. I served it with dinner but it definitely works as a snack, too. Thanks, Brianna! Preheat oven to 250 degrees. Put all ingredients in a bowl and mix together, then place on a baking sheet. Bake for approximately 30 minutes. Midway through, gently toss kale. Toward the end, keep a close eye on it to be sure it doesn’t overcook. 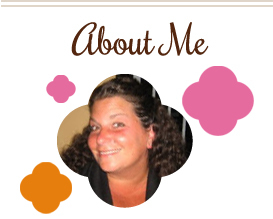 This entry was posted in kale, side dishes, snacks. Bookmark the permalink. this sounds good. i’ll have to try it! I’ve been interested in trying kale chips too. I’ve been concerned that my family wouldn’t be up for it. But, now you have me thinking. Also, I’d love to be involved in a recipe swap. How would I do that? Thanks, Melissa! Sounds like a very healthy meal to me! Glad you guys enjoyed them! I wonder if mine turned brown on the edges because I roasted them at a higher heat. But either way, we love them! Glad your husband was on board too. I’ve also discovered the joys of kale chips. They’re such a great healthy snack! I’ve heard good things about these but haven’t tried them! Looking good!